When your Volvo needs repair and service, we invite you to AutoPro Auto Service in Brooklyn Park, MN. Our team of ASE-Certified auto mechanics has plenty of Volvo auto repair experience. At AutoPro Auto Service we try to make Volvo repair as convenient and painless as possible for our customers. When your Volvo comes to us for service, we offer free loaner cars. Plus, we stand behind our work with 3x the warranty that covers 3-years parts and labor. You simply cannot go wrong with Volvo repair and maintenance at AutoPro Auto Service in Brooklyn Park. The Volvo brand is known for safety, efficiency, and innovation. 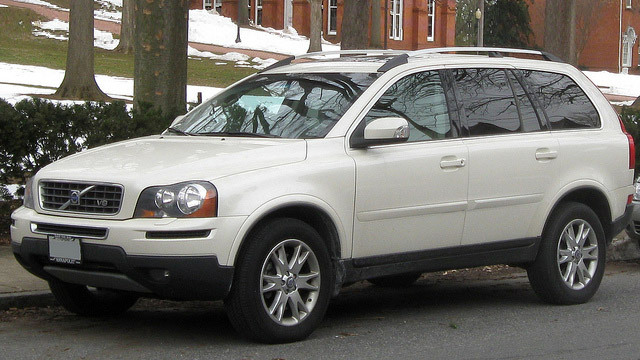 Many Volvo owners who love their cars become Volvo owners for life. To make sure their Volvo automobiles last for a long time, they need to stay on top of regularly scheduled service and auto repair. We care about our customers and their vehicles, and we want you to feel safe on the road in your Volvo. You can count on the AutoPro Auto Service team to clearly communicate which repairs on your Volvo are critical, and which can wait. At AutoPro Auto Service, you know you’re always getting some of the leading ASE-Certified automotive mechanics and repair experts in the area. If you’re looking for honest and affordable Volvo repair in Brooklyn Park, we’re the place to go. We hope that you trust us to be your go-to auto repair shop for not only for your Volvo but for your other personal and fleet vehicles as well. Schedule an appointment with us today by calling 651-442-8366. Conveniently located at 7901 W. River Road, Brooklyn Park, MN 55444, our team looks forward to hearing from you soon.